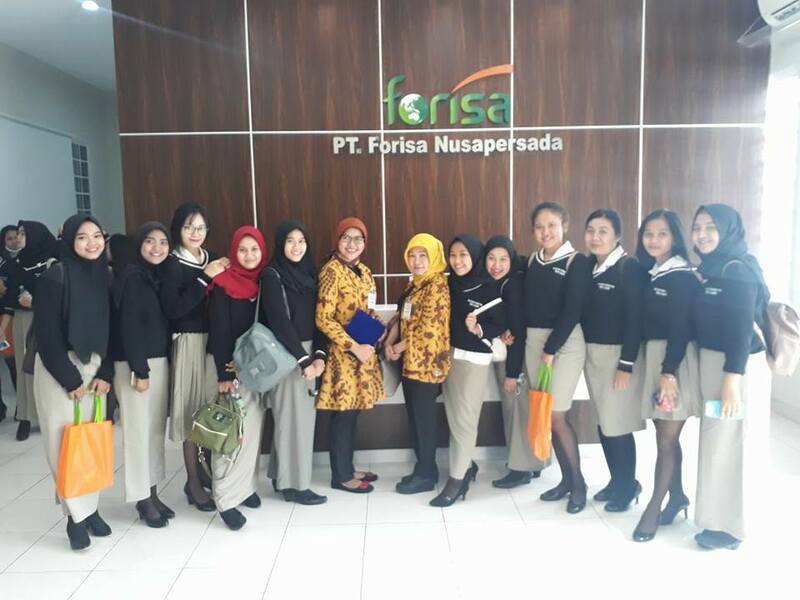 On November 21, 2017, students of Budi Luhur Academy of Secretary conducted a company visit to PT Forisa Nusapersada, located in Tangerang. This visit aims to study the production and marketing process undertaken from each industry company. 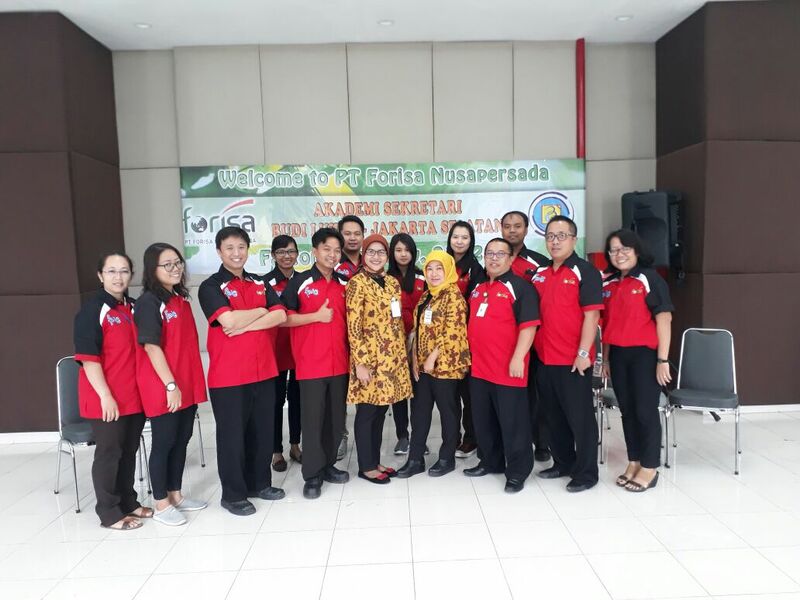 PT Forisa Nusapersada is an industrial company that creates ready-to-eat food and beverage products that are safe to consume and benefit the community such as Nutrijell, Angetsari, Pop Ice, etc. 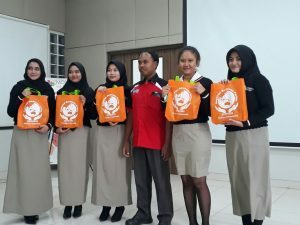 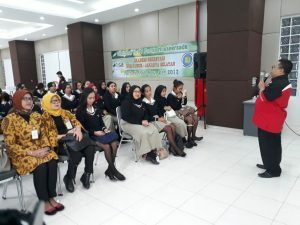 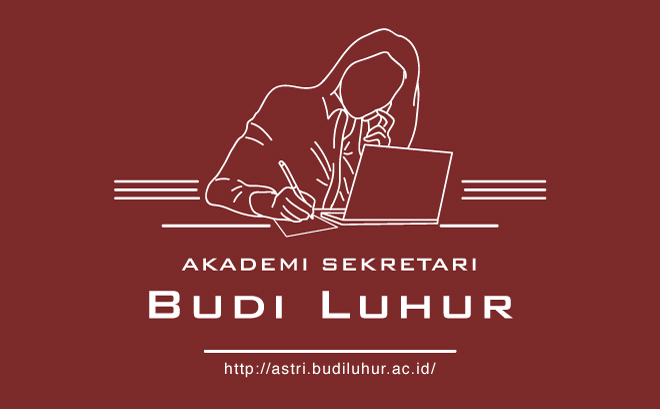 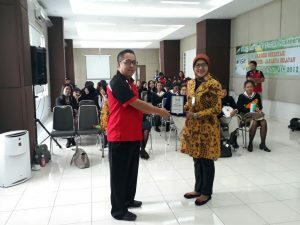 Students of Budi Luhur Academy of Secretary class of 2016 in total of 43 people, accompanied by Mrs. Reni Hariyani, S.E., M.Akt., as the Head of the Study Program and Mrs. Eny Retnoningrum, S.Kom., M.M as the Head of SME Sub-Division, were warmly welcomed by Mr. Krisnanto and the team from PT Forisa Nusapersada. 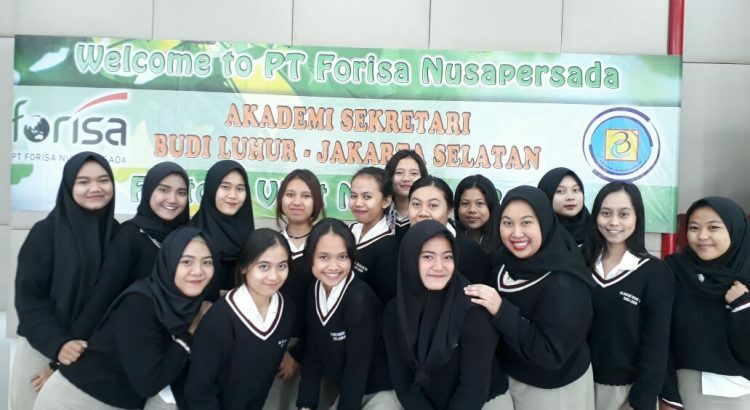 Students gathered in the hall for an explanation and profile of PT Forisa Nusapersada by Mr. Krisnanto. Then the students were invited to go around to see the production process of products from PT Forisa Nusapersada. 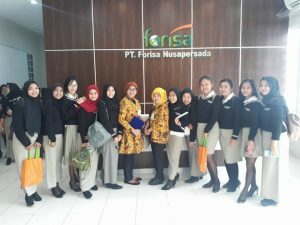 Students were given the opportunity to inquire about the production and marketing process of these products, students were also given the opportunity to taste the products of PT Forisa which is an instant product that is easy to make and consume. Prior to the end of the visit, Mr. Krisnanto gave a memento to the Budi Luhur Academy of Secretary in the form of a plate and not forget to take a photo with the students and the lecturers of Budi Luhur Academy of Secretary with a team from PT Forisa Nusapersada.